Conducter Jennifer Garrett acknowledges the entire choir, while the crowd applauds the show held on campus. 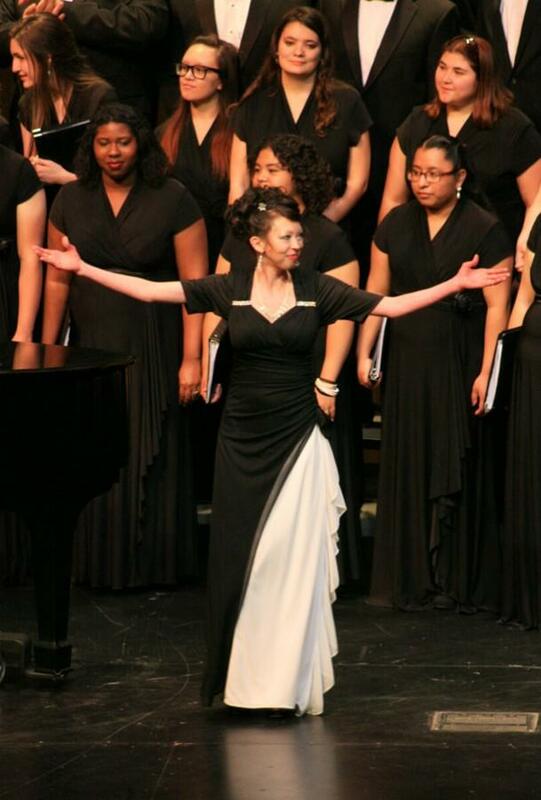 The Bakersfield College choir and chamber singers performed their spring concert on March 20 at the SPArC indoor theater. The choirs performed a variety of songs dedicated to spring as well as to the journey of life. “Enjoy the journey of our concert, enjoy the journey of your life,” said music professor and director Jennifer Garrett. One of the songs performed was “Pure Imagination,” widely known from the movie “Willy Wonka and the Chocolate Factory,”, which had some members of the almost- packed house singing along with the choir.